I truly enjoyed the time the hubby and I spent traveling about in our fifthwheel. Seeing this beautiful country is something I fully advocate. We hope to do more exploring this summer – as long as our wildfire season is a quiet one. Keep your fingers crossed for us. I was very excited when TLC Book Tours offered to send me two travel guides from National Geographic to review at no charge. Read on to learn all about them. Discover more than 950 of the best parks in all 50 states in this completely updated guide from National Geographic.Bask in the spectacular beauty, thrilling terrain, and quiet peacefulness of the country’s finest state parks, hand-picked by park directors and National Geographic editors. This fully updated fifth edition includes 750 additional off-the-beaten track destinations. Beautifully written descriptions tell the stories of the parks, from their wildlife, natural features, and history to their most popular current activities such as hiking, biking, horseback riding, water sports, and rock climbing. Vivid images inspire your next getaway, while detailed information–including 32 detailed maps highlighting sites, trails, campgrounds, and more–helps you plan your next excursion. From free to low-cost, from Florida to Alaska, from the six-acre Iao Valley to the 204,000-acre Baxter, use this essential guide to plan a day visit or a weekend escape. 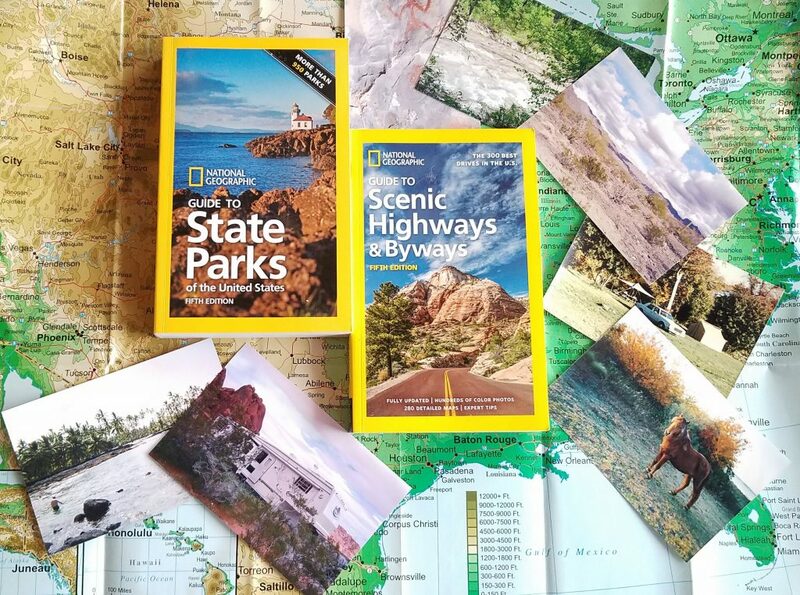 This fully updated edition of the best-selling guidebook from National Geographic showcases 300 of the best scenic drives across the United States. 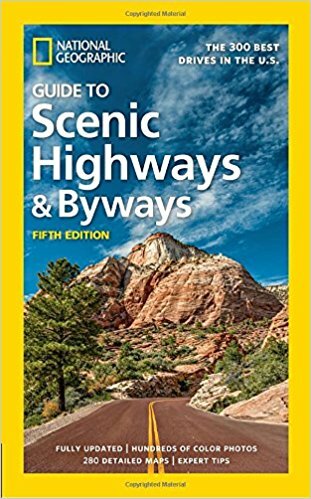 The fifth and latest edition of National Geographic Guide to Scenic Highways and Byways provides more than 300 possibilities for spectacular getaways in your local area and throughout the 50 states. Whether you’re looking for a short day trip close to home or a several-weeks-long vacation, you’ll find a host of ideas in this beautifully illustrated, detail-packed book, which celebrates America’s regional diversity, rich history, and jaw-dropping splendor. Suggested drives include Maine’s rocky coastline, the Southeast’s mystical swamplands, the Southwest’s striking red-rock plateaus, the West’s majestic mountains, and many more. Veteran National Geographic authors with deep knowledge of each area employ superb storytelling techniques to enliven your journeys. Each drive features mile-by-mile directions, as well as all the practical info you’ll need to make your next road trip an experience to remember. NATIONAL GEOGRAPHIC is one of the world’s leading nonfiction publishers, proudly supporting the work of scientists, explorers, photographers, and authors, as well as publishing a diverse list of books that celebrate the world and all that is in it. I feel that both of these books are a quality addition to any travel guides library. Each offers something unique. Both give the traveler the ability to craft a scenic and somewhat off the big park path for a vacation. 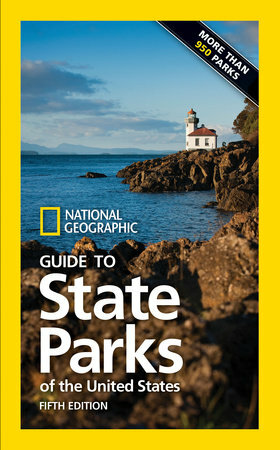 This guide offers information on over 350 state parks throughout all 50 states. The book is broken down by geographic areas; New England, Middle Atlantic, Southeast, Great Lakes, Central Plains, South Central, Southwest, The Rockies, Northwest and Far West. For each state in a region a detailed description of between 3 and 6 parks is given. It includes basic information, what to see and do in the park, a small general map, some photos and nearby sites and attractions. Several other parks are listed at the end of each section with limited information. This can provide a jumping off point for further explorations. The book packs a significant amount of information in to provide a good reference for your travels to any state in the Union. This guide showcases what it considers the 300 best drives in the US. It is broken down into the same geographic regions as the Guide to State Parks. This way the two books can work seamlessly together. In fact, they both use the same color coding system for the regions of the county. That makes it easy to find where to start your research. The book provides the name of the highway or byway, the length and the approximate time it will take to complete the drive and when it can be driven. Some roads like the Beartooth Highway and the Going to the Sun Road in Montana are only accessible in the summer. The description offers scenic, historic and quirky stops along the way. You will also find addresses and at times website information should you want research a stop. Small maps are included but they are not detailed. There are pictures all through the book to pique your interest about the scenes along the way. Both books offer a wealth of information to help you get excited about your next road trip. They would be easy to carry along with you to help plan a spontaneous side trip while on a vacation. Or they could be the start of that dream of a cross country drive. Some might think that with the advent of smart phones and the internet travel guides like this are no longer relevant. Well, I disagree. For one thing the internet is NOT everywhere despite what people think. I live in a state where the coverage can be sketchy in a lot of places. If you don’t have your phone, what do you then use – a travel guide! Imagine sitting together as a couple or as a family. You look through the books dreaming of where to go and what you might see. The fun of planning and making notes in your travel guides cannot be denied. I’m already planning and plotting for this summer for some of the areas of Montana that we haven’t seen. I love looking through the books and figuring out what trips we might make.